Read the story here. More Corben here. 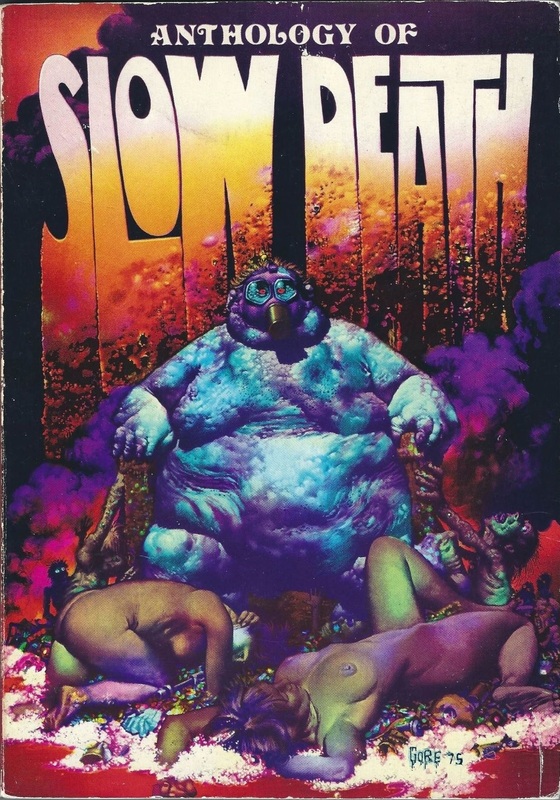 The ecocentric Slow Death Funnies (“Funnies” was dropped after issue #1) was Last Gasp’s first series, published to coincide with the inaugural Earth Day (April 22, 1970). 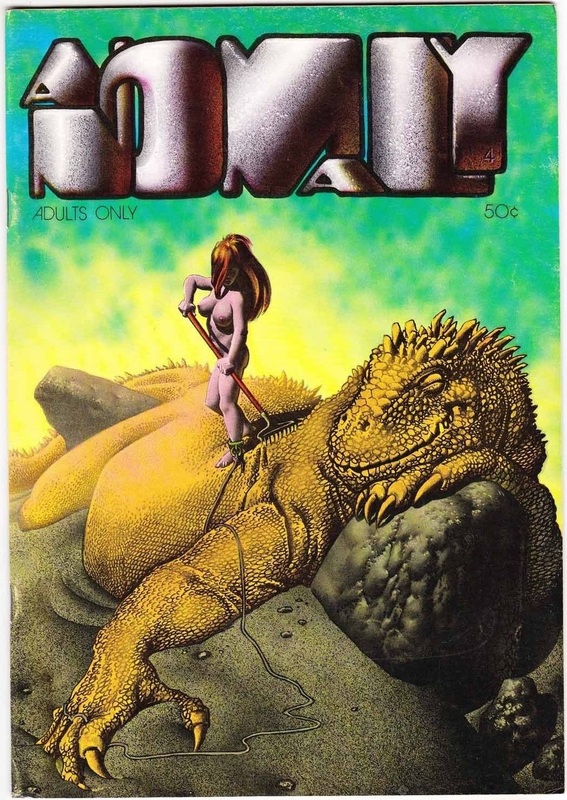 There were 10 issues published between 1970 and 1979, with an 11th and final issue appearing in 1992. See a full history and issue by issue breakdown at Comixjoint. Corben’s colors, like the figures surrounding the loathsome pig-king, seethe with decadence and despair. I get the feeling that the paper itself burns to the touch. 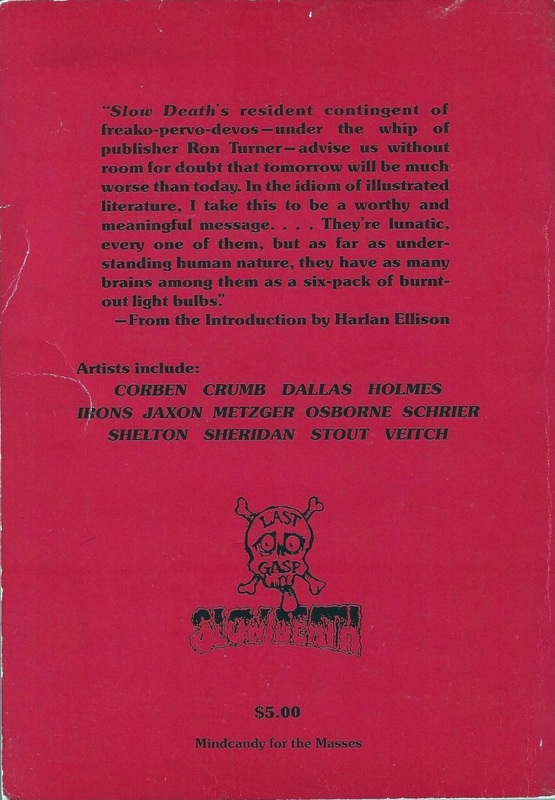 Ellison’s description of Slow Death‘s message—“that tomorrow will be much worse than today”—is an apt motto for the underground comix movement as a whole. Front and back covers. Images are via The Golden Age. 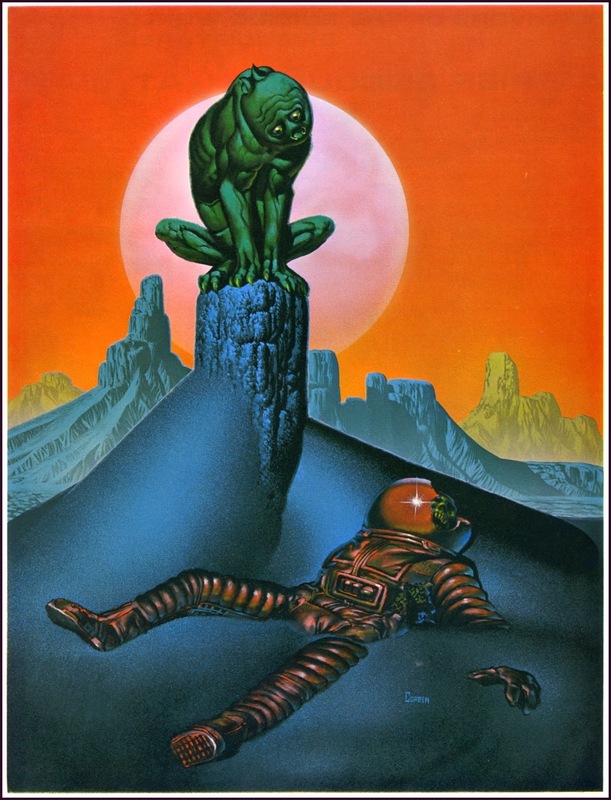 Corben is one of the greats, and what about that title design?